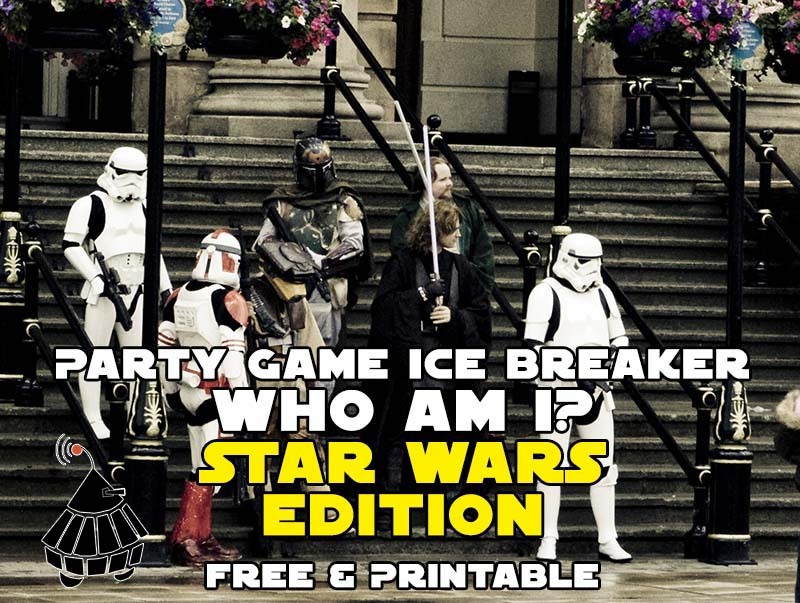 We've made a few different Star Wars related games for you to play at your next party, but you're like Emeril and want to take it up another notch "BAM!" Now it's time to provide you with the ultimate comprehensive guide to hosting your next Star Wars themed party. Ideas here are good for kids or adults. All the local conventions are over for the season. Halloween gives you another opportunity, but does it really showcase what you want? What the heck am I talking about? Dressing up in your custom made Star Wars costume of course. You spent time on it and you need another reason to pull it out and show it off. Well if you're going to play a character you might as well play a game while you do it. So we built a free to play murder mystery dinner with a Star Wars theme. You've planned the meal. The main course is simmering away, the nice china is out, you've even managed to put a tablecloth down before setting the table. You're feeling like you're on fire for this dinner party, killing it already before anyone arrives. Then you remember, "Crap I don't have any games to play and Tony is notoriously hard pressed to talk about anything." No worries, I've got you covered. 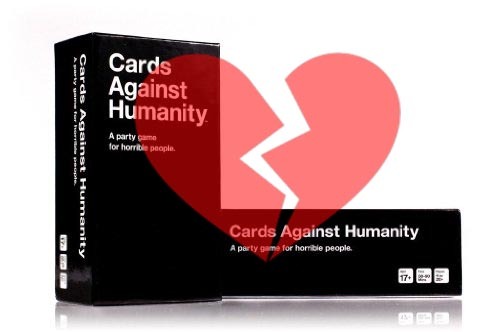 Here's 4 dinner party games to get your guests talking. If we're honest you and I both know that most people really aren't great at small talk. So how the heck do you get guests talking when you're having a party with people who don't know each other? Ice breaker games of course. Most widely popularized by the show "Who's Line is it Anyway?," the game Party Quirks involves 4 people in the original version. With our small rule modifications you can accomodate 6 or 8 by splitting into opposing teams. You've read the books (or should cause they're awesome), you watch the show, you're pretty much obsessed with the land of Fire and Ice. Season premier parties, book launch parties (well... if we can get Martin moving), season finale parties, parties to watch entire seasons just because you can. Yeah, I know you're all about Game of Thrones. So in the spirit of GoT it's time to play a little ice breaking game called Who am I? You're getting a group of friends together, there's always the eternal question: now what do we do? Party game ideas for adults can be hard to come by, but here's my thoughts on 5 games that will engage your friends and make them want to come back for more. In the second installment of our Who am I? party game series today I want to bring you characters from another one of the most popular sci-fi series of all time, Doctor Who. You may be getting together for another Who series premiere party, heading to a local Con or just getting together for someone's birthday. 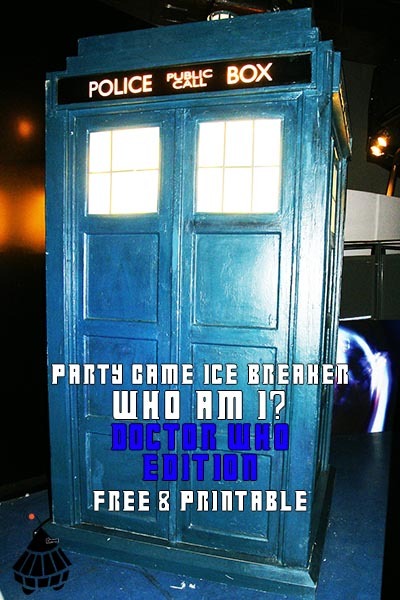 In any case, breaking the ice with a little Whovian challenge never hurt anyone. Sometimes the hardest part about getting a group together that doesn't see each other all the time is getting everyone talking. That's where icebreaker games come into play. A favorite and easy one for me is the Who am I? game.